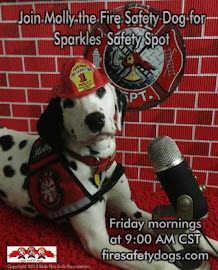 Fire Safety Rocks: Sparkles' Safety Spot Live from Sparkles' Clubhouse Tomorrow! 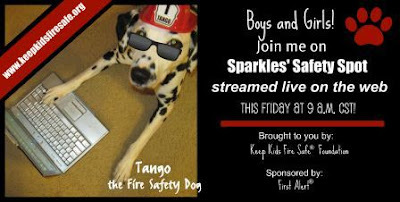 Sparkles' Safety Spot Live from Sparkles' Clubhouse Tomorrow! Sparkles' Clubhouse, courtesy of our friends at First Alert. 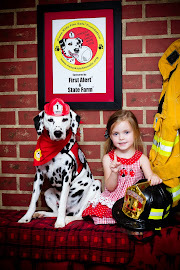 The Fire Safety Dogs are so thankful to have such a wonderful place to help teach fire safety to children and their caregivers. 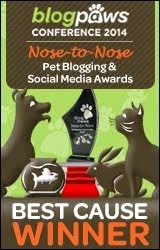 Join us tomorrow morning at 9 AM CST as we live stream Sparkles' Safety Spot from the clubhouse. 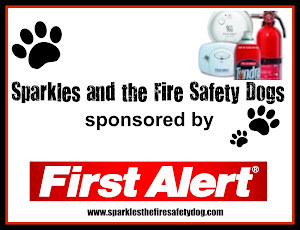 Sparkles' Safety Spot is the only weekly interactive fire safety program on the web and we would love for you to join us! 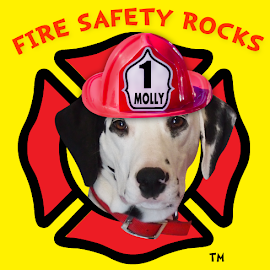 You can chat with us live and even ask questions about fire safety and the Fire Safety Dogs! 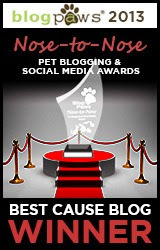 Perfect for the boys and girls in your life!